We all deserve that perfect night’s sleep, but for those stomach sleepers amongst us, this is usually problematic when what we sleep on doesn’t cater to this exact position. Standard mattresses will not provide the level of support and comfort required for those who sleep on their front. Therefore, it’s essential to select the best mattress for stomach sleepers correctly. A common problem when resting on the stomach is continued pain in the lower part of the back, linked to incorrect support and posture and more than often a soft mattress type. Therefore, the best choice here usually is a medium to firm mattress. 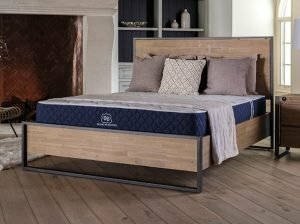 This extensive review looks at a selection of mattresses that give stomach sleepers a medium to firm sleeping surface. 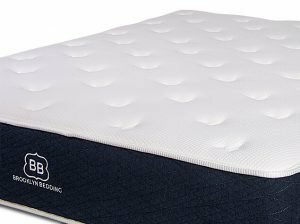 Concentrating on eight of the best sellers currently retailing online, we consider mattress type and composition alongside comfort level and total firmness. Summarizing their pros and possible cons, we then offer an overall rating to give you a clear indication of how well each mattress type does its job. Undertaking a thorough search of the market, we present to you what we consider to be the better mattresses on the current market. Placing top models into an informative table and then reviewing them in detail, we’ve also added a useful buying guide here, while answering some of those most commonly posed questions about these mattress types. We’re confident that all this combined will help you select the best mattress for stomach sleepers that accommodates your personal needs. The Layla Copper Infused Mattress is our top pick here for not only its infusion of copper throughout its CertiPUR-US memory foam, but also because this is one mattress that you can actually flip! This means you’re guaranteed a comfort unlike any other. One side of this mattress is medium soft. The other side is a firmer side, perfect for those stomach sleepers. Having the ability to decide which side of the mattress suits you best is fantastic if you struggle to get that most perfect of sleeping positions throughout the night. 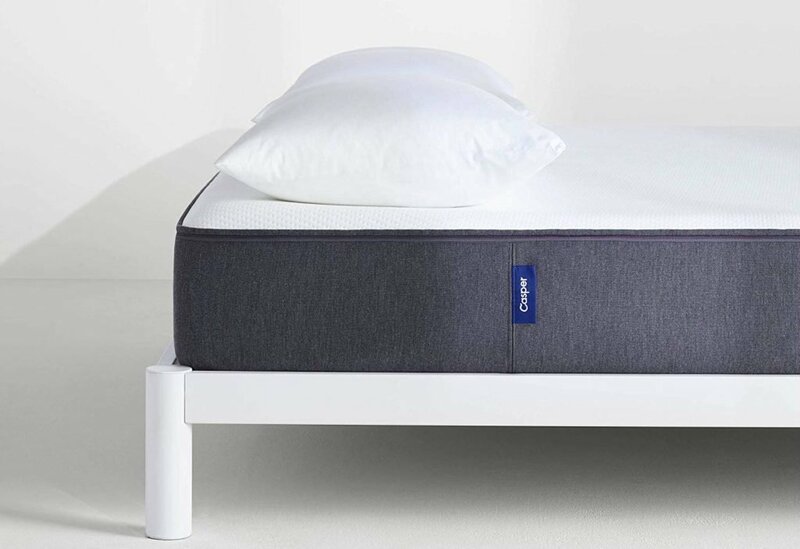 Due to the copper-infused memory foam which is used throughout this mattress, the result is a more relaxed, comfortable, and refreshing sleep every night. The copper works at cooling both the inside of the mattress and its surface area, as well as enhancing that variable support to accommodate all sleeping positions. Furthermore, there’s a thermogel infused cover attached which reacts to your body temperature each time and makes sure you don’t overheat as you sleep. This ensures no more waking throughout the night and subsequently less pain from constant tossing and turning. Working with any foundation, the Layla Copper Infused mattress is said to fit every bed type. Customers of the Layla mattress highly rate its ability to relieve pain from using the incorrect mattress type and love being able to select from the two sides. The Snuggle-Pedic Mattress That Breathes is our choice for the Best Mattress for Heavy Stomach Sleepers. 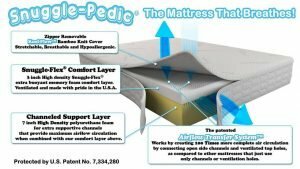 This is an exciting and unique mattress type which relies on a patented airflow transfer system throughout its construction. Ultimately, this means this product can offer up to an astounding 100 times the breathability that you would find in other mattresses! It does this by connecting both ventilation holes and channels. 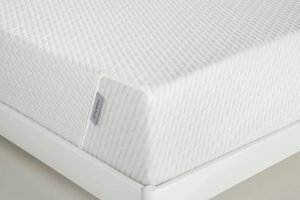 Regarding its structure, there is a flex-support technology combined here to offer the pressure relief that you’d expect from a memory foam or gel mattress – however, this particular model is hugely more supportive and more accessible to move around on. 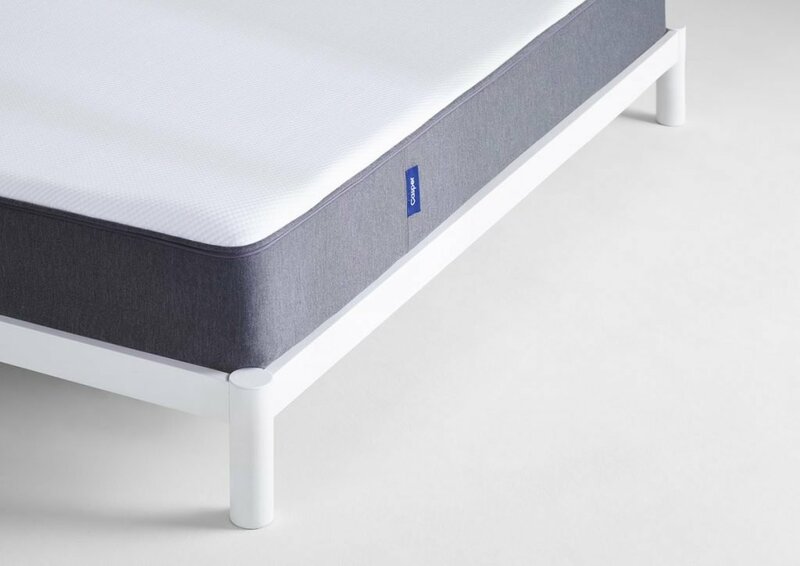 The mattress surface is pressure relieving while the lower layer is firmer and packed with extra support making it a breeze for all stomach sleepers to get comfortable in an instant – and subsequently sleep soundly throughout the night. This perfect combination gives balance and comfort universally. Dust mite resistant and hypoallergenic, the removable cover of the Snuggle-Pedic mattress is also enriched with Kool-Flow properties making it extra breathable through its micro-vents. With an aim to keep you cool all night long, Snuggle-Pedic is confident that everyone will notice an improved difference. 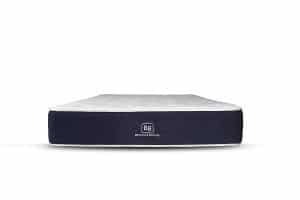 Customers of the Snuggle-Pedic Mattress love the sound qualities of this model but also consider it comfortable enough to sleep well on. Its pressure relieving properties are highly rated by many users. The Brooklyn Signature 11-Inch Hybrid Mattress is our choice on the list here for Best Hybrid Mattress for Stomach Sleepers. This is a mattress which works to offer a combination of inner material. Combining foam alongside coils, the top layer here is a hyper-elastic foam that contours to your body’s shape each night. 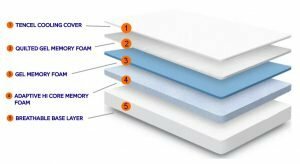 The second layer is another foam selection which aims to minimize any sleep disturbance through its hyper-elastic properties. Then, the third layer is around 1024 individual pocket coils which are engineered in a layer to encourage motion isolation, as well as reacting exceptionally to movement. The last and fourth layer of this mattress is a high-density base support foam material which serves to enhance the structure of the above-pocketed coils. This entire combination works well for those stomach sleepers and a range of other sleeper types. The addition of individually cased coils promotes a more superior sleeping experience. Along with a patented cooling technology, besides its surface comfort, body temperature is correctly regulated when sleeping. Better still, every individual foam layer is treated with an effective TitaniumGel infusion, which further works to optimize body temperature throughout. 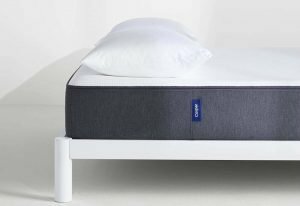 Customers of the Brooklyn Signature 11-Inch Hybrid Mattress rave about the ultimate comfort and plushness of this model. The design is also claimed to thoroughly support essential pressure points while encouraging correct spinal alignment. 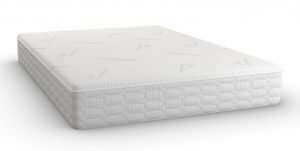 The Casper Sleep Memory Foam 10-Inch Mattress takes a solid place among the best memory foam mattresses for stomach sleepers. 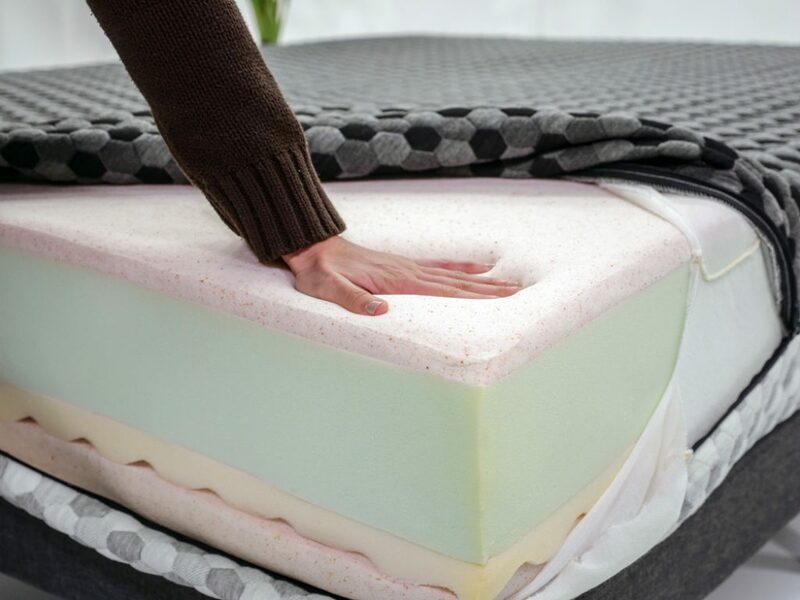 This is a multi-foam mattress which is made up of no less than four layers. From an open cell foam layer, active memory foam layer, adaptive transition foam layer, and finally a strong support foam layer, this is constructed in a way to provide the ultimate of support, breathability, and indeed bounce! This makes it the best memory foam mattress choice for stomach sleepers as it encourages a supportive position, working to hold you comfortably in place throughout the night. Furthermore, it ensures a pain-free morning as pressure relieving qualities do their job as you sleep. 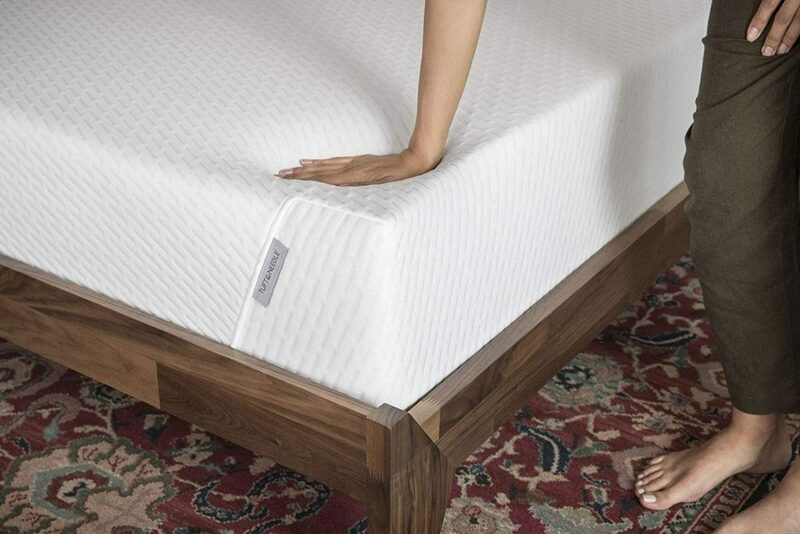 The open cell foam placed at the top of this mattress is fantastic at promoting a good supply of air flow regulation, meaning you’ll remain cool throughout the night. The additional use of open cell hypoallergenic latex also contributes towards a more refreshed sleeping surface and environment. Casper Sleep claims this mattress makes you feel as though you’re sleeping on a dreamy cloud, such is its deep comfort and ongoing durability. 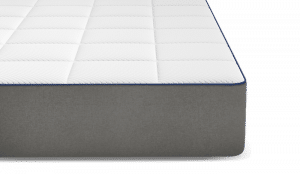 Customers of the Casper Sleep Memory Foam 10-Inch Mattress mention that sleeping on this model feels as though your entire body is being hugged! Additionally, it immediately eliminates any previous problematic symptoms. 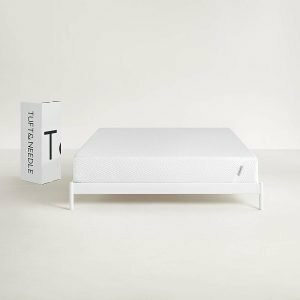 The Tuft & Needle Mattress is our pick here for the Best Adaptive Foam Mattress for Stomach Sleepers. 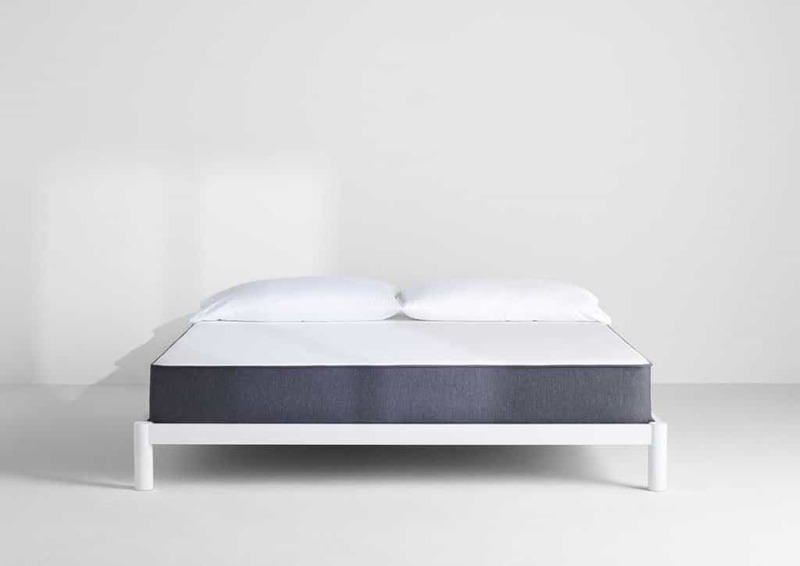 The inclusion of freshly poured adaptive foam into this mattress means Tuft & Needle can offer a product which is cushy but responsive to the body’s contour. This claims the level of support provided is high but feels medium to soft. Better yet, this luxurious softer feel doesn’t promote sinking. 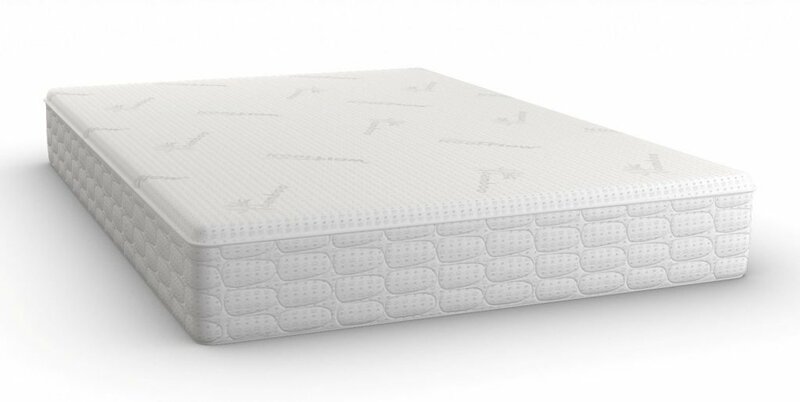 The foam is adaptive offering more bounce than most traditional foam mattresses do. With an ultra-soft top cover, the result is a more refreshing night’s sleep. This is achieved by cooling gel infused within the foam as well as a breathable and heat wicking design on top. 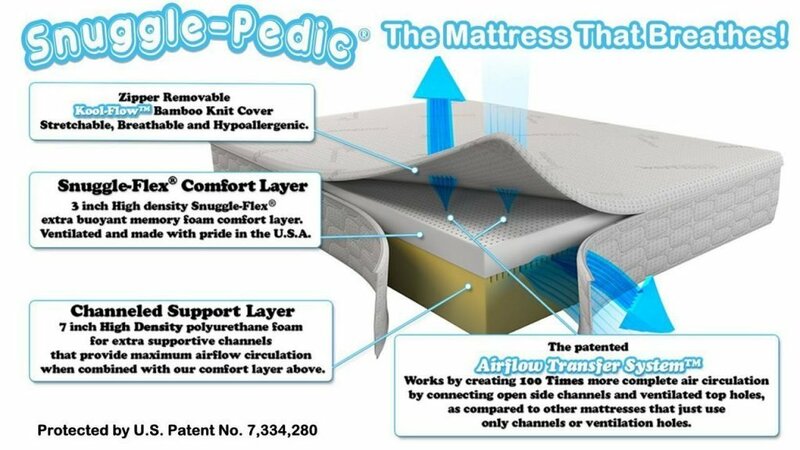 As well as this, the open cell technology in this mattress design enhances breathability all night long. With all qualities combined, this mattress is ideal for all sleeping positions, however, for stomach sleepers, its perfect balance of not too hard and not too soft is excellent at supporting this position long term. 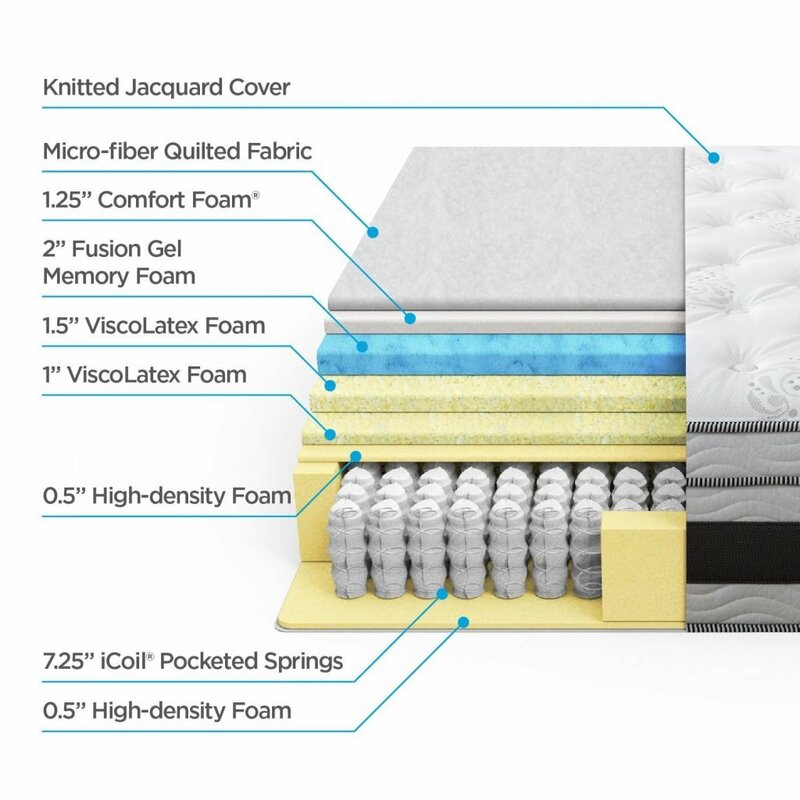 Tuft & Needle believe their foam is a higher grade than other memory foam types. This mattress fits all bed foundation types. 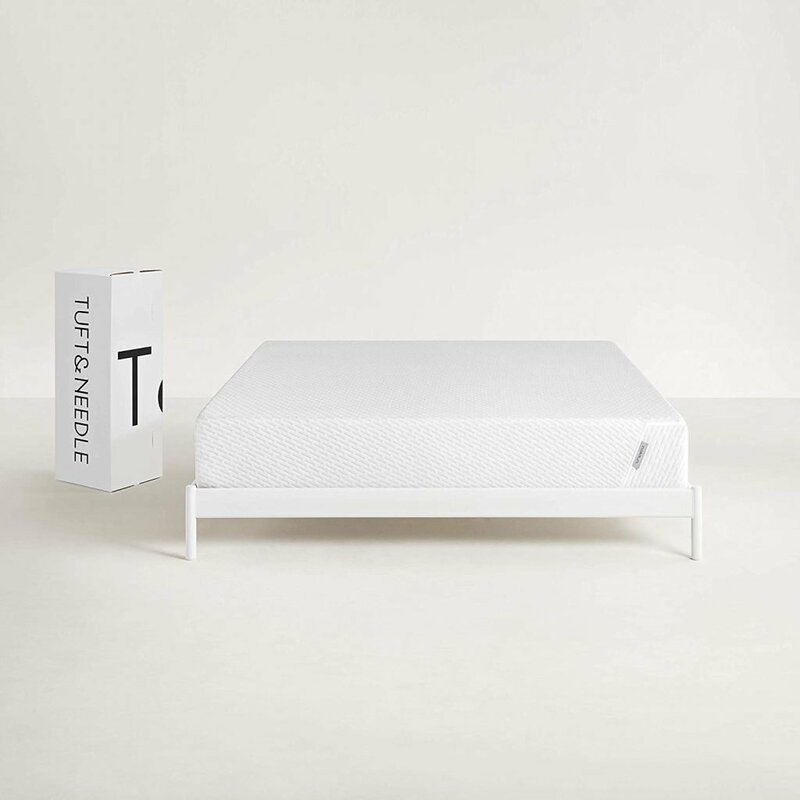 Customers of the Tuft & Needle mattress highly recommend the great support it provides as well as are impressed with how well the mattress retains its shape over the years. If you’ve been experiencing back pains and other aches and pains due to your current mattress, this is the model that claims to relieve all your suffering! It does this through combined support which is firm where it needs to be – but also soft enough to provide sensitivity and gentleness where you need it the most. Alongside this optimal level of firmness comes breathability and coolness. Nectar claim that even during the midst of the hottest season, this mattress will work on regulating your body temperature throughout your sleep. Utilizing a Tencel cooling cover, it promotes that ideal temperature, allowing you to consistently sleep cool, no matter what the weather outside is doing. Made up of gel memory foam and CertiPUR US certified foam, this ensures equal distribution throughout and works on supporting and contouring to your body’s natural shape. It is perhaps the ideal solution to recurring back pain developed through previous incorrect mattress choices. Customers receive two premium Nectar pillows with their purchase, and this mattress will fit all bed types. Customers of the Nectar Mattress find it to be firm but with a perfect softness. Many claim it encourages a better alignment all-round and results in not just a better night’s sleep, but a pain-free morning also. The Pure Green Natural Latex Mattress, namely its firm version, is our selection here for the Best Organic Mattress for Stomach Sleepers. This is compiled from natural goodness, eliminating any need for synthetic latex foam, polyester fabric and fill, as well as any polyurethane foam. It’s a 100% make up of natural latex foam, organic cotton, and organic wool. For continued extra comfort, there’s also an organic cotton and organic New Zealand wool derived quilted cover included. Offering a good level of firm support throughout, it ensures no fire retardant chemicals or barrier cloths are present. A most eco-friendly product to the environment, many benefits are passed to the user to provide a cleaner night’s sleep every time through a more breathable product. 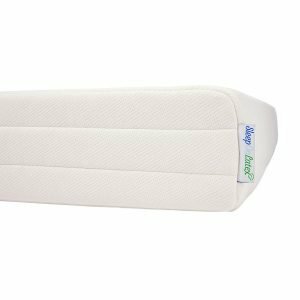 The clever combination of foam placings here ensures a supportive and robust surface area with just enough give to work on alleviating pressure points throughout the body. 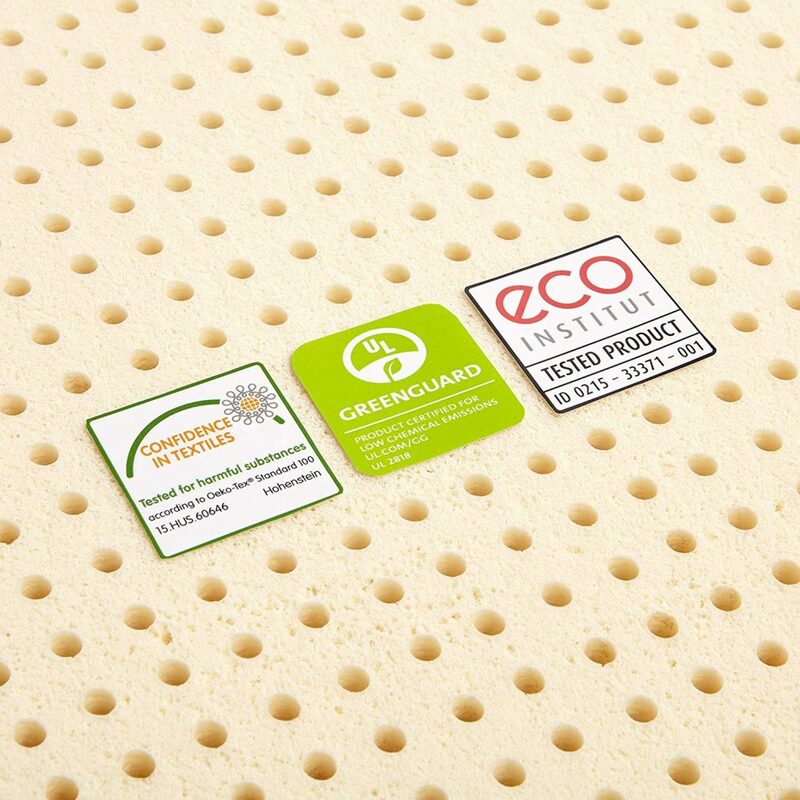 Its natural latex foam incorporates tiny chambers that encourage the air to circulate through the mattress with ease – meaning a more cooling sleeping surface all over. The Pure Green Mattress is the best latex mattress for stomach sleepers holding up well for many successful years. 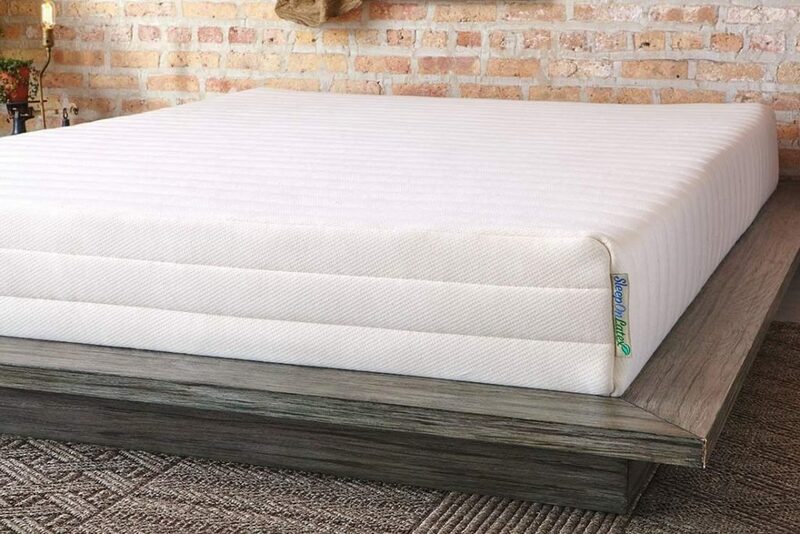 Customers of the Pure Green Natural Latex Mattress love the idea of sleeping upon an entirely organic mattress which they believe offers the perfect combination of firm support levels with just a little hint of give to ensure a fantastic balance. The Zinus Gel-Infused 14-Inch Memory Foam Hybrid Mattress is our Budget Pick on the list here. Though it’s lower in price, it does not skimp on its soothing qualities. Using only the highest quality of memory foam in its makeup. 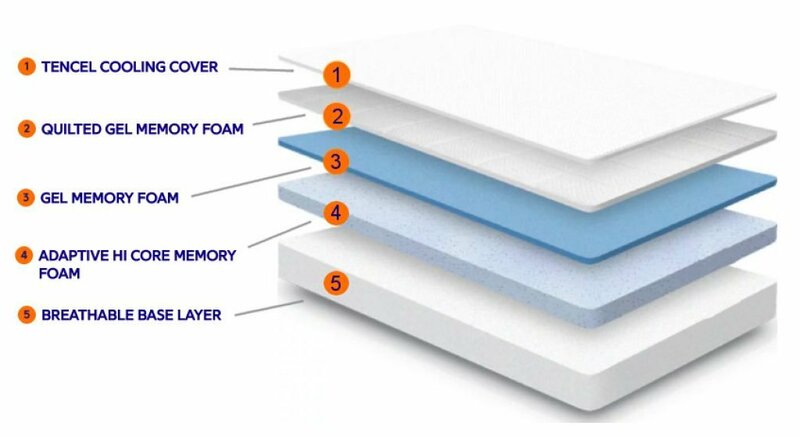 This is CertiPUR-US memory foam which ensures durability, content, and performance throughout use. 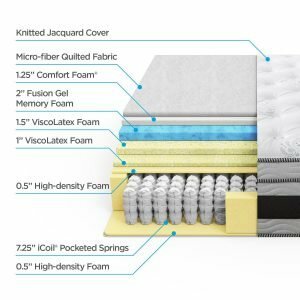 Utilizing a unique gel memory swirl foam type to provide that most ideal of sleep temperatures this benefits from the addition of ViscoLatex foam memory technology. ViscoLatex adds a level of increased comfort. As if that wasn’t enough of an impressive makeup, there’s also iCoil springs which are encased in all this foam to enhance the support offered all-round. These springs work by reducing the motion transfer experienced and extending pressure relieving support which means uninterrupted sleep – and no pain upon awakening if you do sleep on your stomach. 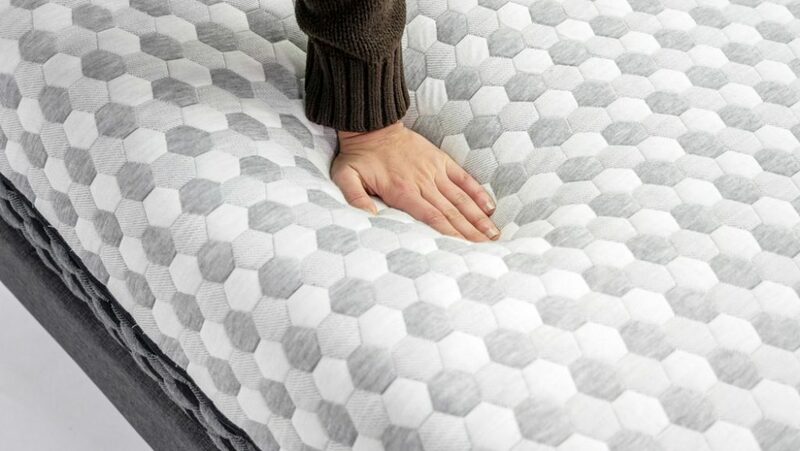 With a fantastic comfort cover included, made of a foam and fiber quilted poly jacquard, depending on the thickness level chosen, this offers a rich medium to a firm mattress. 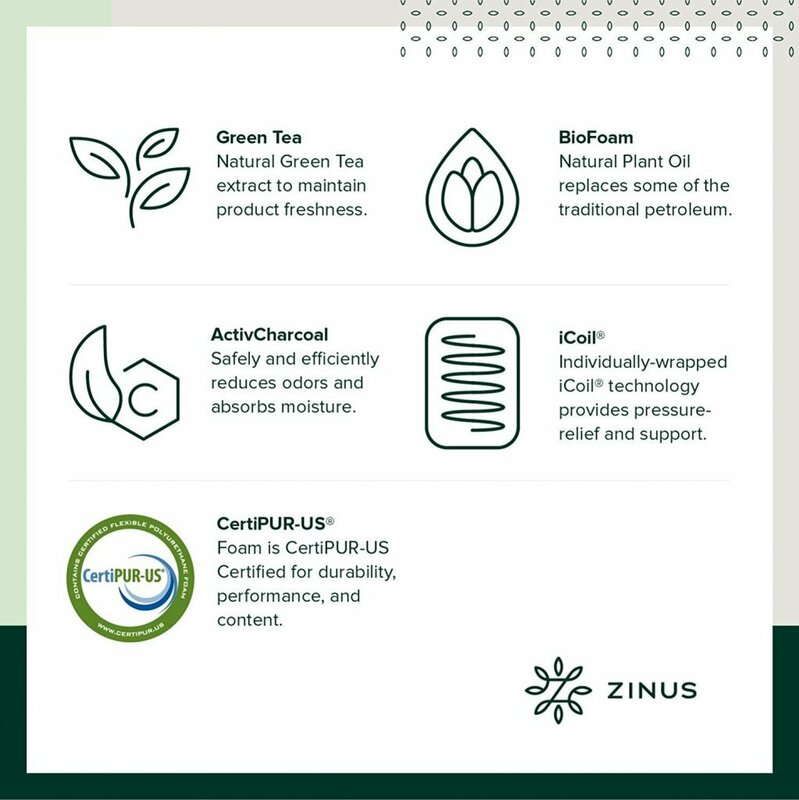 Zinus claims their product provides a level of pioneering comfort night after night. 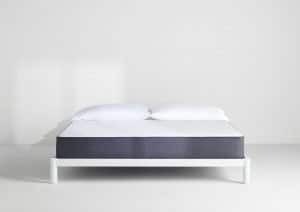 Customers of the Zinus 14-Inch Gel-Infused Memory Foam Hybrid Mattress find this an incredibly priced mattress which also ensures complete support throughout alongside increased comfort, regardless of what sleeping position you take up during the night. Now that you’ve had a good look through the variety of mattresses which we’ve recommended in this review, you’ll hopefully have a better idea of which type for stomach sleepers suits you best. However, before you part with your money and make your final purchase, why not take a few minutes to read through the following buying guide? This section expands a little further on what we’ve discussed in our reviews. What makes a mattress work for stomach sleepers? If you regularly sleep on your stomach, you will need to look out for mattress types that promote proper back support. This is because your lower back will tend to sink as you sleep on your front. A standard mattress will allow this sinking which results in a restless night’s sleep – as your body works to find a more comfortable position. This means waking with ongoing continuous pain, which if left unchecked can become extremely problematic long term. A medium to firm mattress type is, therefore, the perfect solution for a stomach sleeper as it will work to support your entire body as you sleep and relieve any pressure points, such as the hip area. Therefore, you wake pain-free each morning. Soft Mattress Types: Though they may initially feel soft to lie on, overnight once you’ve taken to your front, they will encourage an almost sinking feeling. Though this may feel cushiony and comforting to some sleepers, for those stomach sleepers, it means a lack of support and a significant cause of pain the next day. 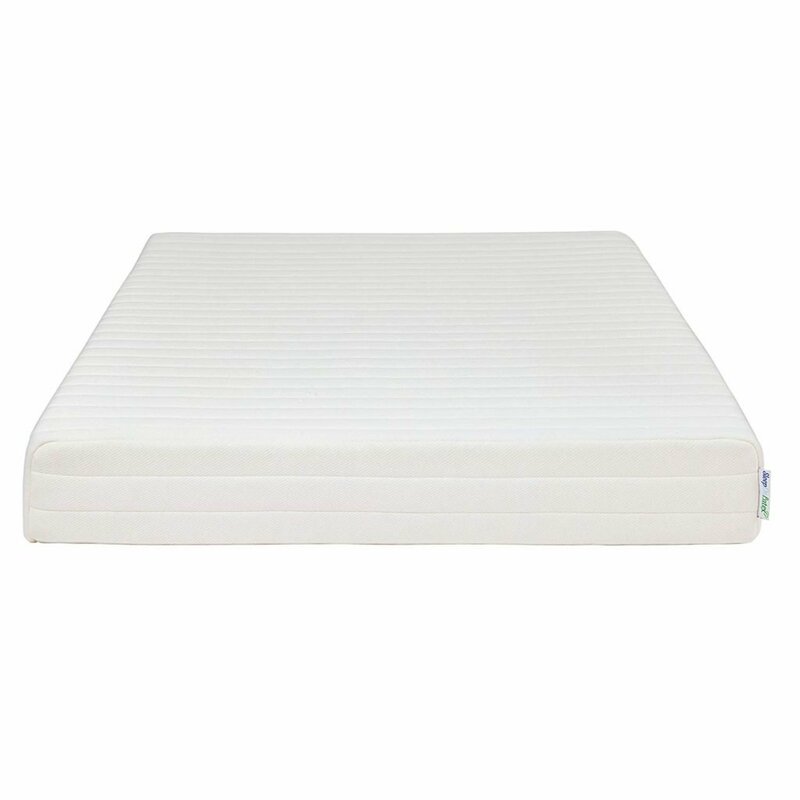 Medium Mattress Types: These can be a good solution for some stomach sleepers if they find themselves taking up multi positions throughout the night. They offer an adequate level of support but not for prolonged periods, so if you combine stomach sleeping with other positions you may be okay with their type. Firm Mattress Types: These are the perfect choice for stomach sleepers as they fully support the contour of the body and keep you supported as you sleep. They are almost a necessity if your sleeping position is predominantly on your front as they can cope with the prolonged weight and offer a pain relieving solution. However, some people will tend to find them almost too firm, especially in the early days after purchase, taking a bit of getting used to. 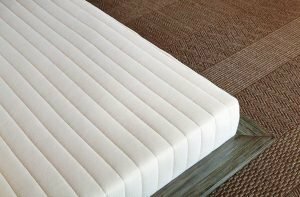 With so many mattresses claiming various levels of hardness, you may be wondering exactly how you go about selecting that correct level of firmness for your own needs. This is often based on two issues, your overall weight distribution and personal preference. If you are heavier in weight, then an entire firm foam mattress choice will support you all over. Those sleepers that fall into an average weight group may prefer to select from medium to medium firm, as its support may be more noticeable to them in this instance. However, for that lightweight of sleepers, the preference for a medium soft mattress may be more comfortable as they tend to conform closely and encourage better spinal alignment when compared to those firmer types. Most firm mattresses should be available in a good range of sizes including the usual Twin, Twin XL, Full, Queen, and King. We’ve made sure our products cover that scope of sizes here. It goes without saying that it’s important to assure you get the correct size for your bed base as an incorrect mattress will aggravate your symptoms further. 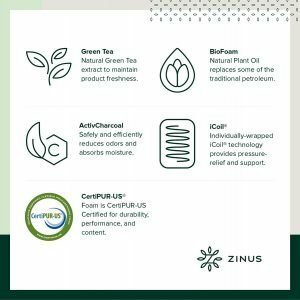 Additionally, we’ve offered a selection of mattress thickness from 9 inches, for the Pure Green Natural Latex Mattress, to a choice of 10, 12, and even 14 inches in the Zinus Gel-Infused Memory Foam Hybrid Mattress. Again, ensure that the thickness of your mattress choice suits your personal preferences as well as your bed base for increased overall comfort. All these reviewed models here have been chosen for their ability to offer motion isolation. This refers to how well a mattress can absorb or isolate any motion. If you sleep with a partner, motion isolation will ensure that you don’t disturb one another as you move around the bed or get up when the other one is asleep. 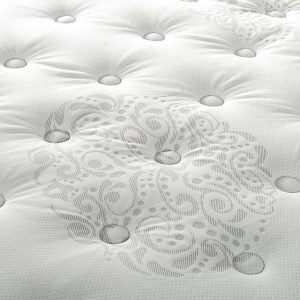 Memory foam is well known for offering contouring qualities, and therefore generous edge support. 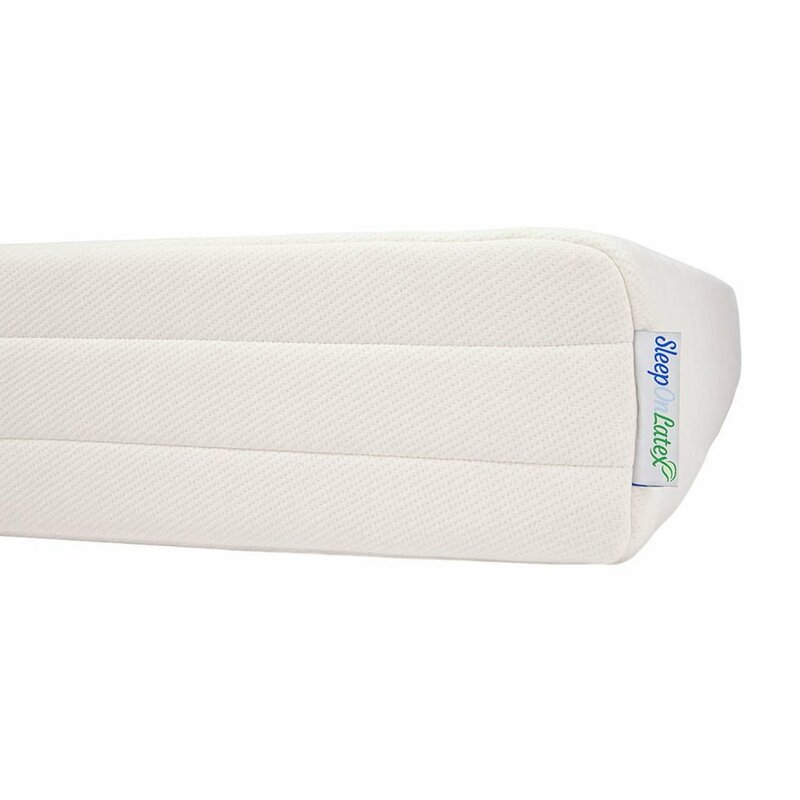 Good edge support ensures you don’t roll off as you turn in the middle of the night; neither will you fall off if you sit towards the edge of the bed. If the certification of your mattress choice is important to you, look for details that guarantee your model is a safe one and hypoallergenic. This will ensure that it’s free from any known harmful chemicals and promotes a cleaner and healthier bedroom environment as a result. 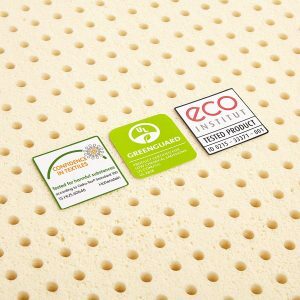 The Pure Green Natural Latex Mattress is a perfect choice here for the most organic firm mattress type, offering continued peace of mind. We’ve included a budget pick here in the Zinus 14-Inch Gel-Infused Memory Foam Hybrid Mattress, to show how it’s possible to still get a good quality firm mattress for a lower price. However, we strongly recommend considering the possibility of paying anything from the $400 plus mark up to as much as $999, for example for the Layla Copper Infused Mattress with Flippable Firmness. This is because a mattress should always be seen as an investment for a good sleep and all-round improved health. There are many cheaper foam mattresses on the market, but when you select these, you risk more than likely paying out more in the long term as they do not last the distance. If it’s durability, high-quality materials, and indeed comfort you’re after, expect to pay that little bit more to achieve it here. Purchase a thinner pillow if you really can’t be without one! Is it safe to sleep on my stomach if I’m pregnant? Experts suggest that sleeping on your stomach isn’t a problem when you’re pregnant, but you’ll more than likely find it more uncomfortable as the pregnancy goes on and the bigger your stomach gets! It’s sleeping on your back which isn’t advised when pregnant as this can place unnecessary pressure on your organs, as well as restricting blood flow and oxygen to your baby. Many pregnant women find sleeping on their side on a firm mattress with a long body pillow for support is the ideal position for them. What mattress type is better for a stomach sleeper: a foam or a hybrid one? 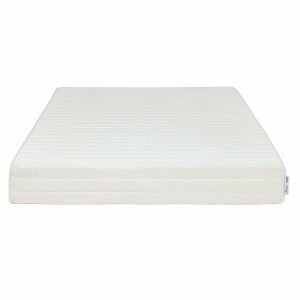 Though foam mattresses are highly recommended as best for stomach sleepers, especially as they are the firmer options, you can also find some hybrid models which are better types for front sleepers. The Brooklyn Signature 11-Inch Hybrid Mattress is the perfect example of this as it combines multi foam layers with individual coils springs to enhance comfort while allowing room for continued movement, losing none of its supportive qualities. Does mattress height make any difference for a stomach sleeper? Mattress height is often dependent on personal preference, including that of your individual body weight. 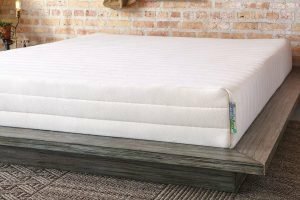 However, when recommending the best height of a stomach sleeper, 10 to 15 inches is considered the perfect height for optimal support and comfort. All these reviewed mattresses here are selected within that range to offer the best results. I’m a heavy person and usually sleep on my stomach. What mattress type and firmness would be ideal for me? If you are more substantial in weight, you may find that the firmer your mattress type, the better. This is because those firmer of mattresses can offer you improved support throughout and encourage a good sleeping position continually. The Snuggle-Pedic Mattress is an excellent example of this as it provides a pressure relieving surface which ensures your weight is evenly distributed all over the mattress and not concentrated in specific areas, meaning you wake pain-free. Hopefully, this extensive review has offered you a clearer idea of what the best mattress for stomach sleepers can provide you with. Better still, you may now have a specific model in mind which would be the most suitable for your personal preference. Our top choice on the list here is the Layla Copper Infused Mattress with Flippable Firmness. This is our Editor’s choice for the sheer fact that it offers you two options of comfort by a simple flip! 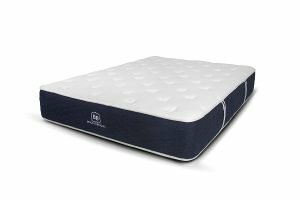 Second choice here is the Snuggle-Pedic Mattress That Breathes, which impresses us with its balance of comfort and breathability while promoting pressure relieving properties throughout. 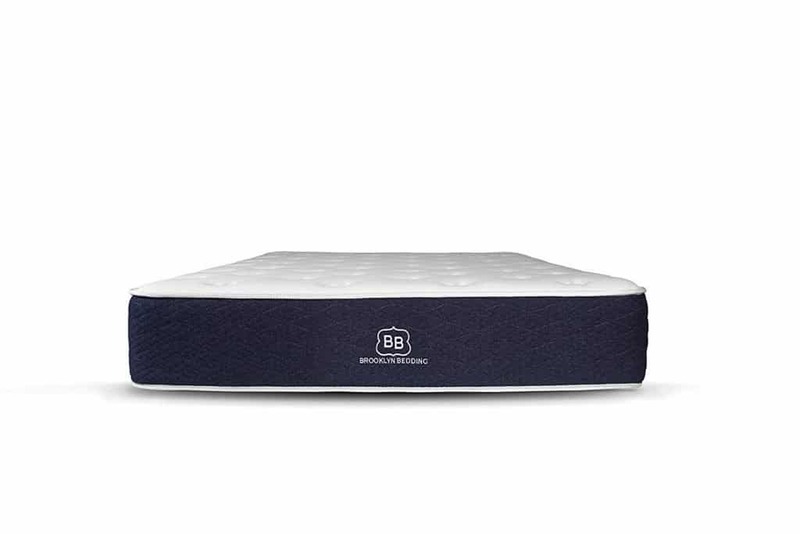 Our third choice is the Brooklyn Signature 11-Inch Hybrid Mattress which we love for its excellent combination of multi-layered foam and individual pocket coils, resulting in a supportive comfort all over. In concluding, every one of these reviewed mattresses here provides not just essential support for stomach sleepers but also for many other common sleeping positions, proving there is indeed an individual perfect mattress type for every sleeper.